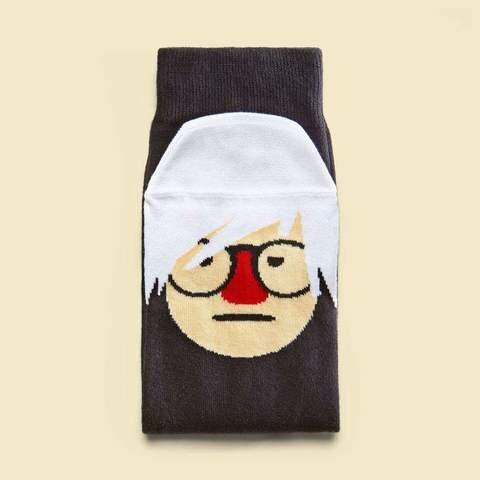 Socks for the art enthusiast. 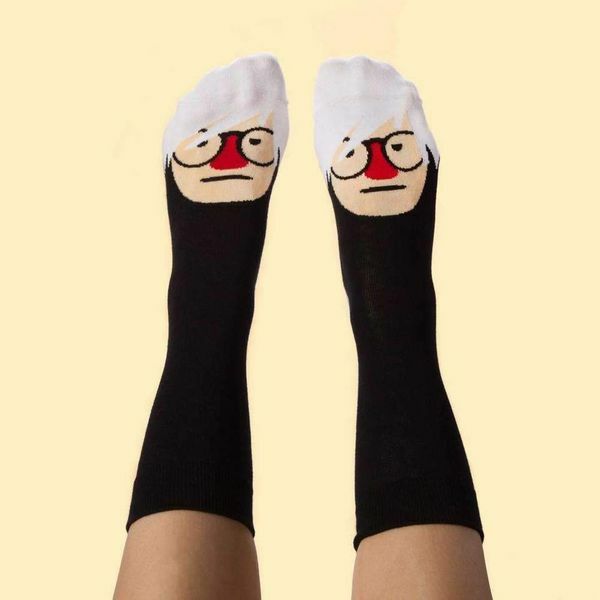 If you have these socks on you can never have a creative dip. 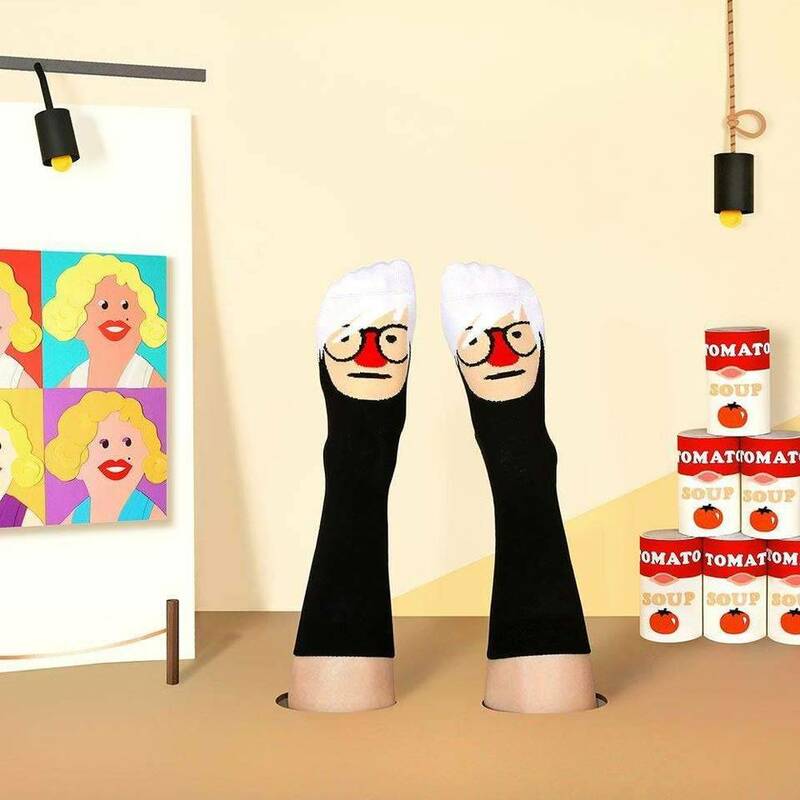 With the artworks in the Moma in New York, chatty Andy teaches you everything you need to know about the Pop Art art movement and discuss your masterpieces as 'Still life with a few socks'. This artistic character wants to inspire you to 'refresh' your painting qualities and will work with you on your next major exhibition. Mondriaan cool art socks are a great gift for any novice artist. Also check out the Artist Gift Box.